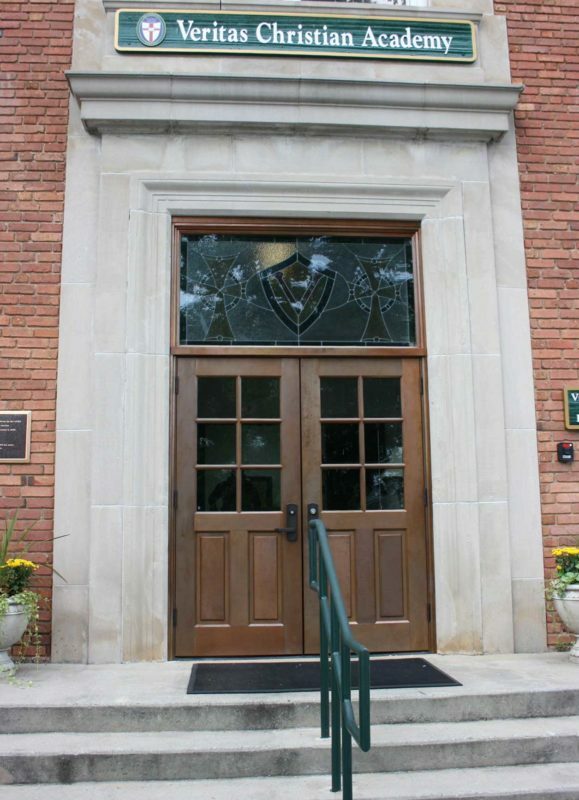 We were asked by Veritas Christian Academy to restore their entrance doors. 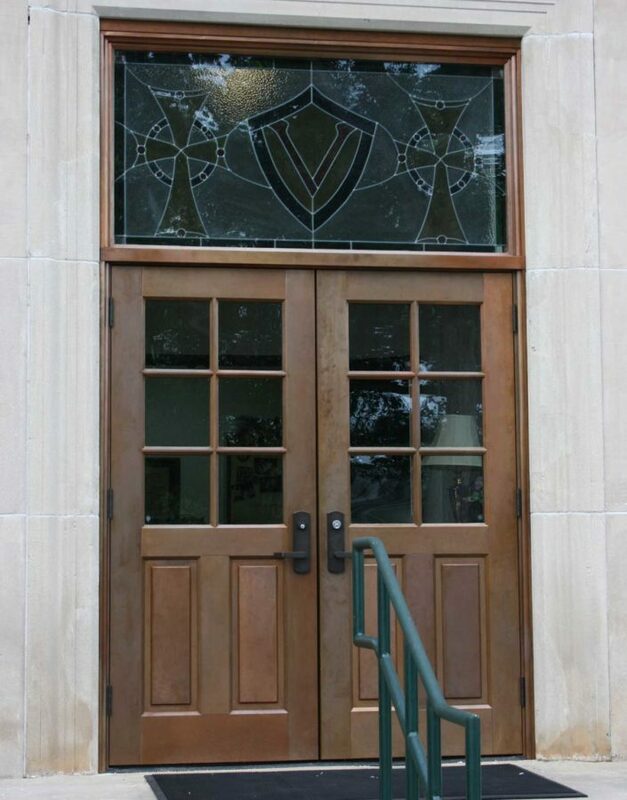 These doors were very badly damaged, and we ended up reproducing them instead of repairing them. 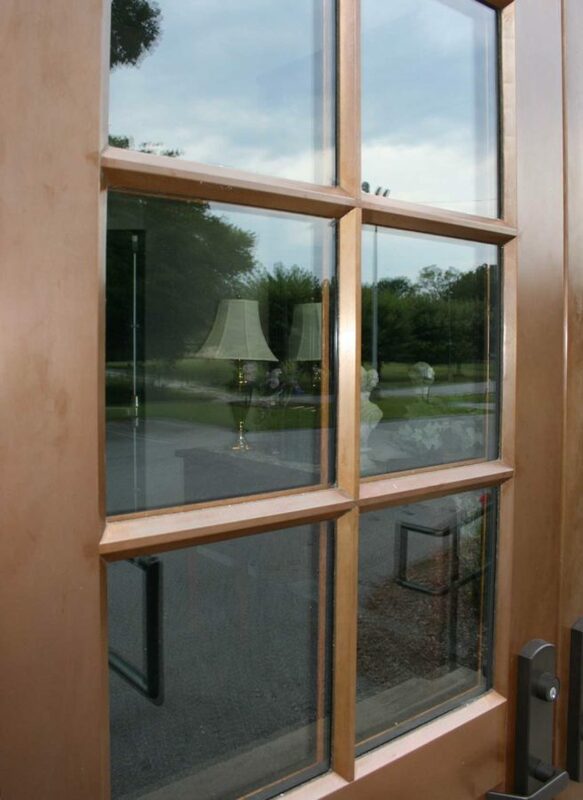 Using an old photo as a reference, and built the 6-lite doors and transom out of white oak with an insulated glass panel, which we stained and finished. 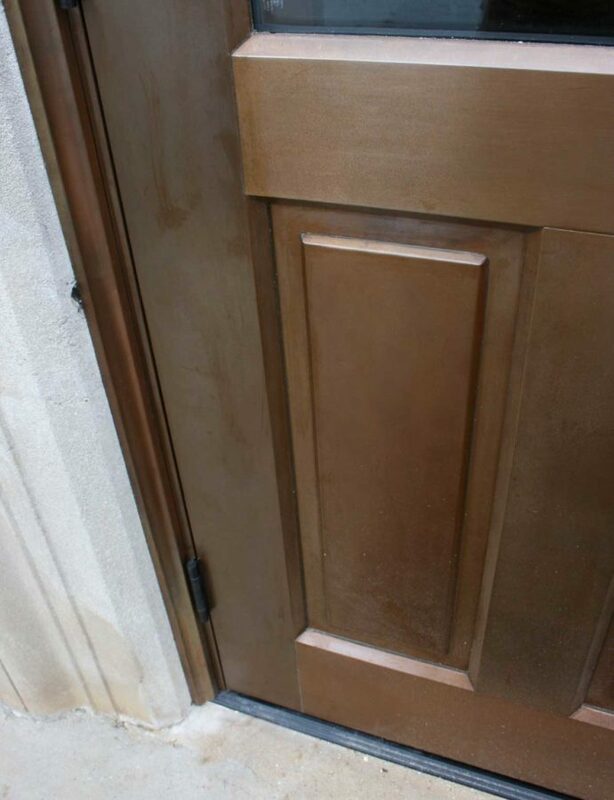 Because these are south-facing doors, and were going to get a lot of sun damage, we clad the doors and stained-glass transom in copper.